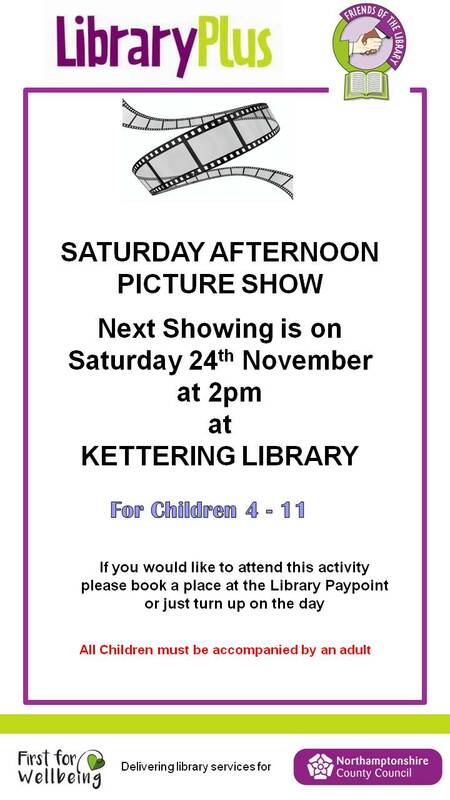 The Friends of Kettering Library will be running a FREE Children’s Film Club at Kettering Library, Sheep St, Kettering NN16 0AY with a recently released, Cert U or PG film. 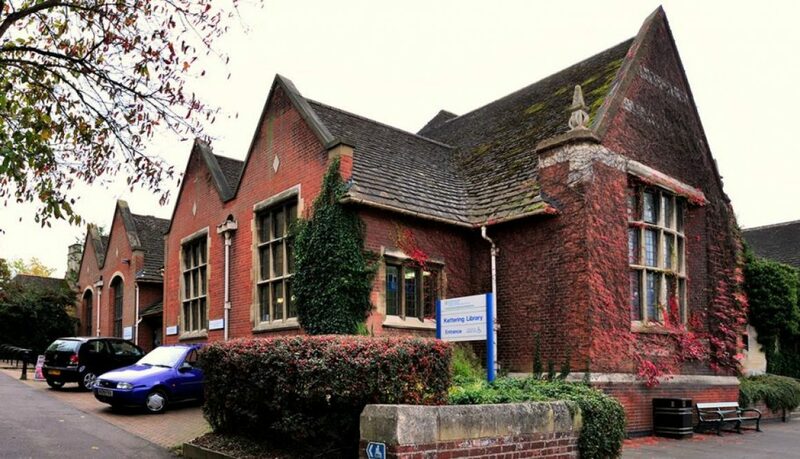 All children aged 4 – 11 are welcome but must be accompanied by an adult. 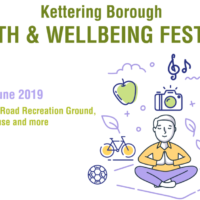 FREE refreshments will be available for children. So come and let your children have some Saturday afternoon fun. Entrance is FREE. 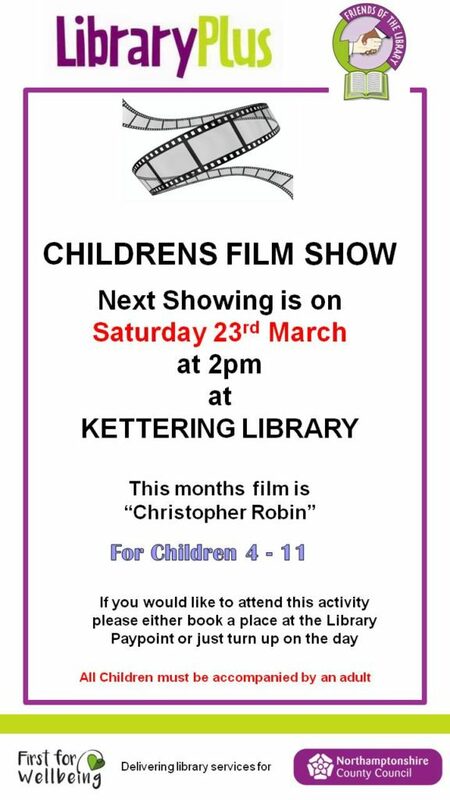 Friends of Kettering Library will be holding a FREE Children’s Film Club at Kettering Library, Sheep St, Kettering NN16 0AY with a recently released, Cert U or PG film. All children aged 4 -11 are welcome but must be accompanied by an adult. FREE refreshments will be available for children. So come and let your children enjoy some Saturday afternoon fun.